Last six months and the next six too, Life will never be same again, it has all changed so much, people around, circumstances, challenges, Me, perspectives, choices and what not. Today, when I look back, I see a lesson learnt, well not just one, lot many, but then the entire taken together, I understood life like never before. I understood what I am, how I am, and what I should be going forward. To stand by what I choose, because yes, I have heard the distant drums and gone another way, have made a choice, everyone around has a different say on it, what matters is how committed I will be to it. I know, maybe because I got carried through the new tunes I may get a negative outcome for the thing I presume has ended, but then, am brave enough this time, for maybe I will have the 'Regrets of my life' once the outcome is public but then I need to stand by myself first and expect from none. I realised how I am, one who shouldn't be bounded by anything, I need variety in whatever I do, different thoughts should come and go through me, for it helps me breathe. I realized am not going to pursue ahead what I dreamt of at some point of time. My family, whoa, the way it has stood by, touchwood! Friends, some solved troubles, some became troubles too. I got closer to the harsh said thing, What goes around comes around, and now I am more sensitive in treating people around, for I got a first hand experience. I have learnt its a bad bad bad thing to ask someone make choices amongst relationships, nay, never do that,and if you are made to do one, stand by both the ends and make them realize both are unique and incomparable relationships, for relations are to be flourished and not chosen from. Just yesterday I spoke out to a friend like never before, and all he had to say was, if you know so much of yourself, how about improvising? 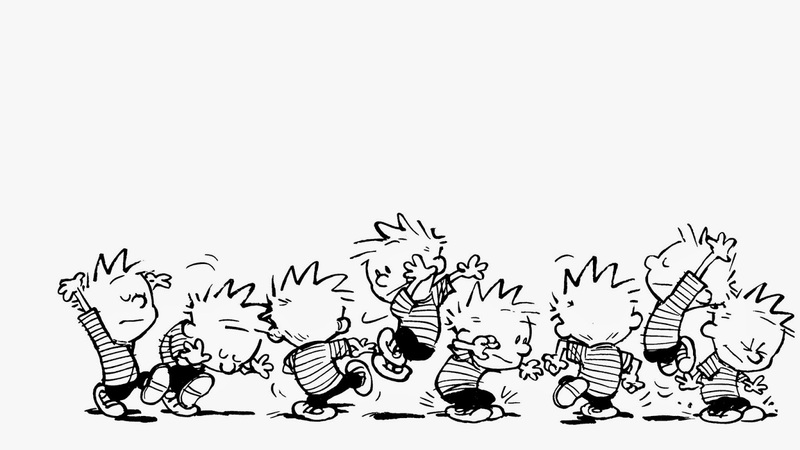 I found a new love too, Calvin & Hobbes, a sheer lovable thing, believe me, few friends gifted me a book of the same and I actually slept hugging it the entire night, Yeah am reliving my childhood. Lets give Life a fresh slate, a fresh perspective, a fresh me, a better me. Yo baby, this is how I am! It'S sTill aNYday a BeTTer PlaCe to LiVe ! :) :) :) Love you bhai!